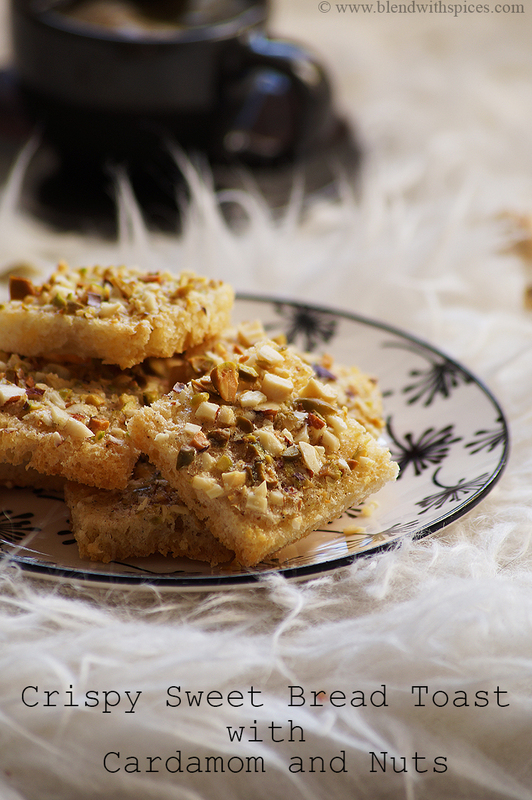 Sweet Bread Toast Recipe with Cardamom & Nuts - Crispy Teatime Snack! 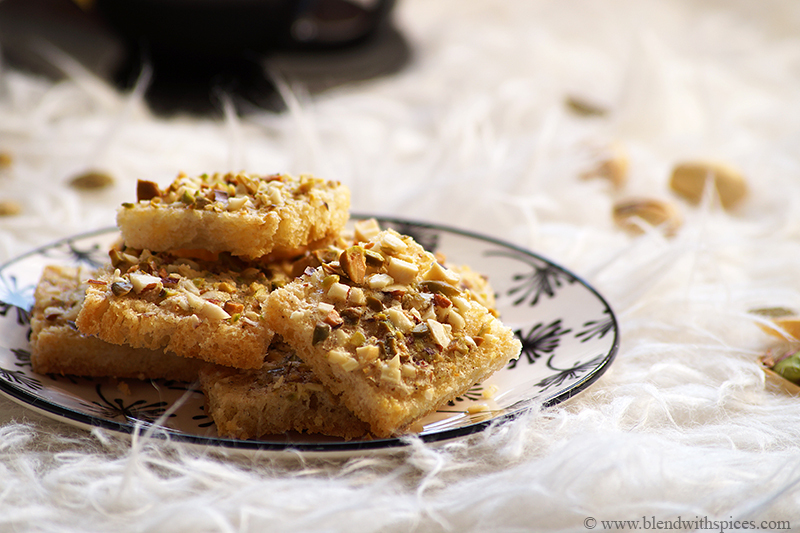 Sweet Toast Recipe – Crispy and irresistible baked bread slices with cardamom and nuts. Sweet Bread Toast is a super quick and simple snack made with easily available ingredients in no time. These are a great alternative to the regular cookies. 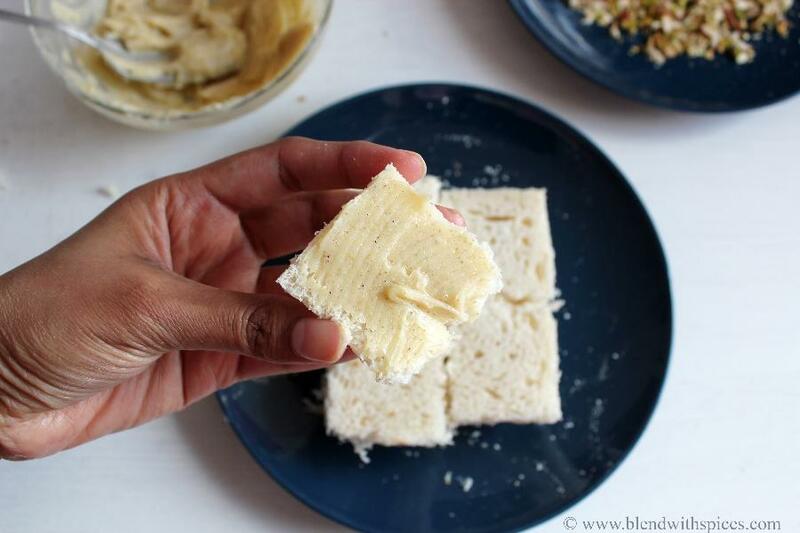 You can use any bread to make this delicious sweet snack. 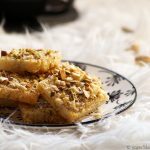 This recipe is my own creation and I have used cardamom powder and nuts to give an Indian touch. 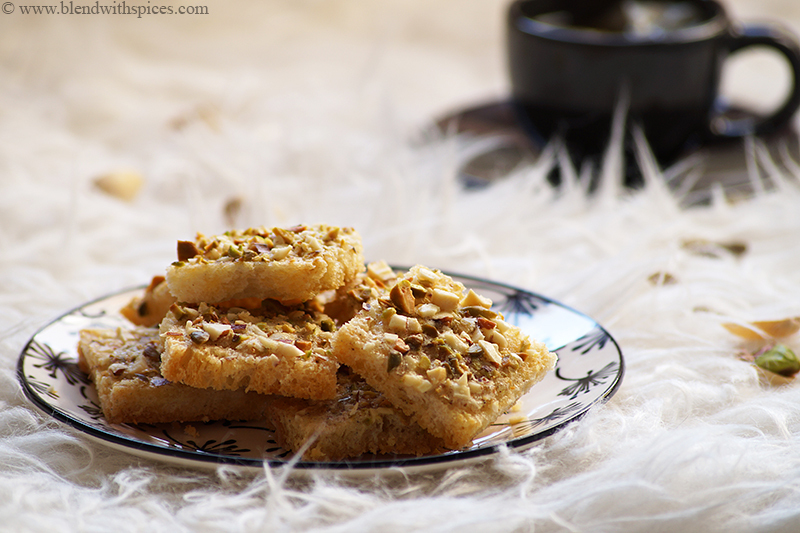 Crispy Sweet Toast Recipe made with bread slices, butter, sugar, cardamom and nuts. 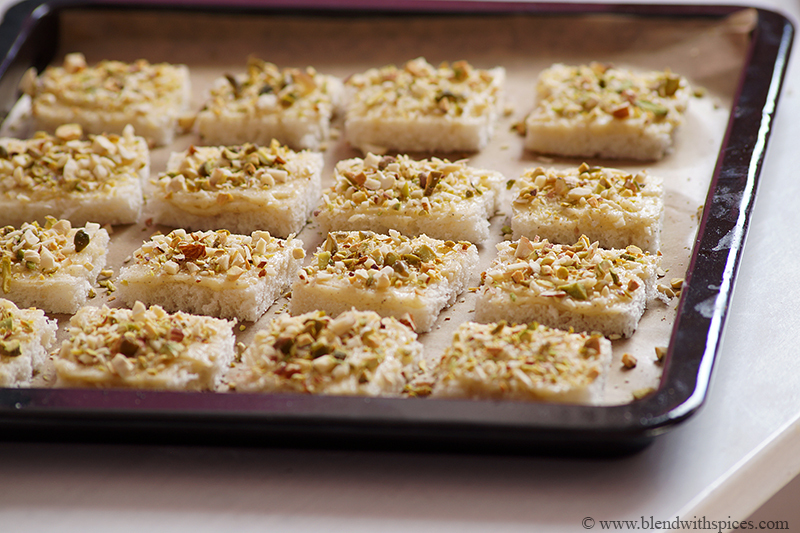 A delicious teatime snack recipe with step by step photos and video. 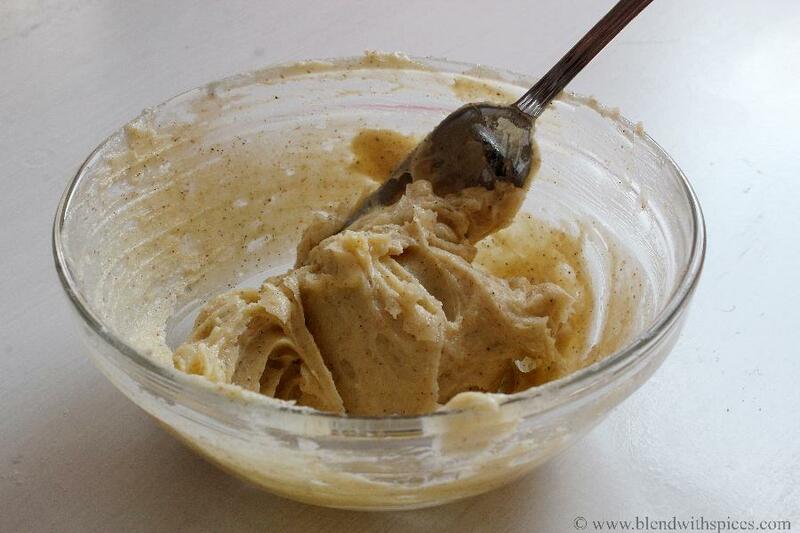 Combine the softened butter, sugar powder and cardamom powder in a bowl and mix until well combined and creamy. 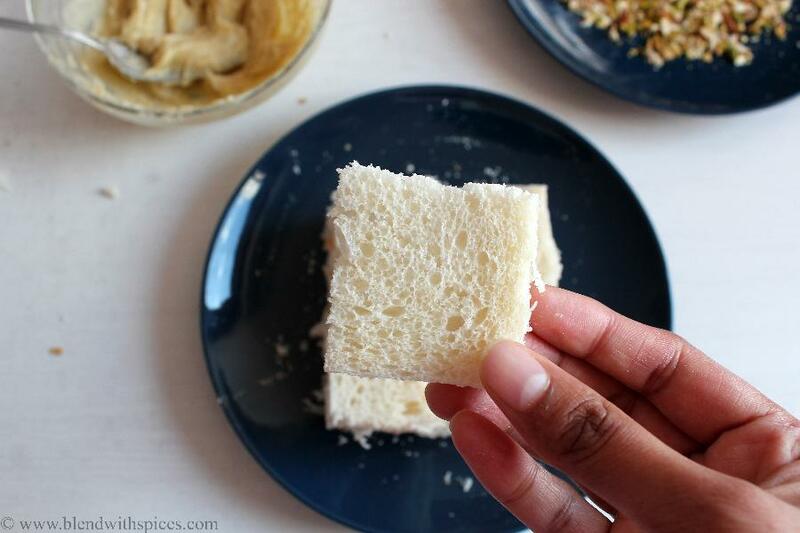 Remove the edges of bread slices and cut them into squares. Spread the prepared the butter on the bread pieces and place them on a baking sheet. Top the buttered bread pieces with nuts and bake them for about 15 -18 minutes or until they are crispy at 150 degrees C.
Remove them from the oven and let them cool completely. Store them in an airtight container and serve as a teatime snack. 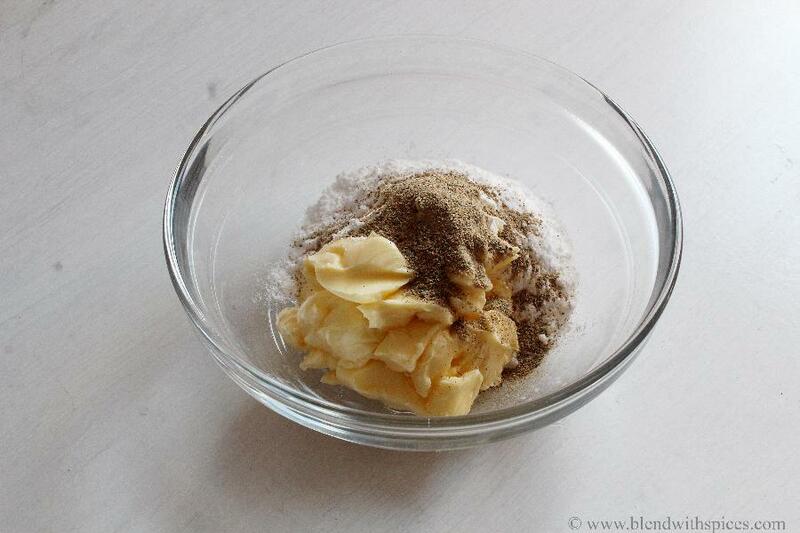 Combine the softened butter, sugar powder and cardamom powder in a bowl and mix until well combined and creamy. Keep it aside. Combine the cashews, pistachios and almonds in a bowl and keep it aside. Take 4 white or wheat bread slices and remove the edges. Cut them into squares or triangles. 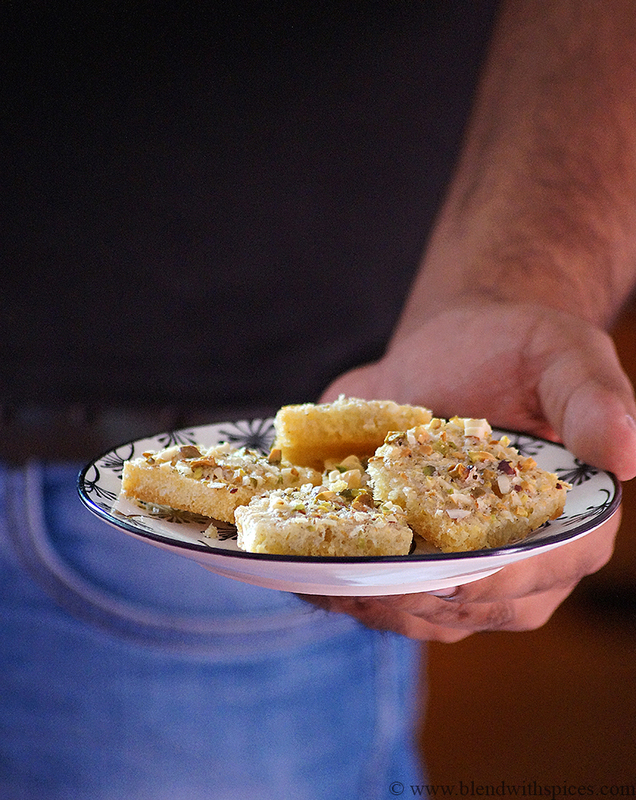 Spread a little thick layer of prepared butter on one side of the bread pieces and arrange them on a baking tray. Sprinkle the mixed nuts on the buttered bread slices and bake them in the preheated oven for 15-18 minutes or until they are crisp and light golden color at 150 degrees C.
Store them in an airtight container and serve with tea or coffee. Wowwww.. Soooo easy..Looks scrumptious and ravishing!! Wow, it looks mind-blowing. I really want to eat this. Thanks for sharing with us.